At Land Conservation Options for Comal County, a panel discussion Nov. 8 at the McKenna Events Center in New Braunfels, Katherine Romans, executive director of Hill Country Alliance; Annalisa Peace of Greater Edwards Aquifier Alliance; Jensie Madden with League of Women Voters of Comal Area (LWVCA); Dianne Wassenich of San Marcos River Foundation (SMRF); Comal County Engineer Tom Hornseth; and attorney Julie Koppenheffer examined conservation efforts in other Hill Country communities to see if those same tools can be used by landowners in Comal County. Currently there are 12,000 acres or about three percent of Comal County’s total acreage under permanent protection. Comal County’s population is expected to reach 140,825 by 2020 before doubling between 2050 and 2060, according to South Central Texas Regional Water Plan. Most of the homes built to accommodate this growth will be built on land that is now ranchland or undeveloped woodland. Romans says to protect the county from rapid development, the public must identify leaders from the community, find committed landowners partners, talk to local elected officials about local demand for conservation, and find resources to leverage funding. Madden chairs LWVCA’s Land Use Committee, which recently published Facts & Issues: Land Use Planning in Comal County, Impacts of Growth; Time for Action. She says rapid growth in Comal County is converting much of Comal County’s current ranch lands and undeveloped wooded areas into subdivisions. Large areas for preserves are rapidly disappearing. The League’s tracked the impact of growth on Comal County since 2003. 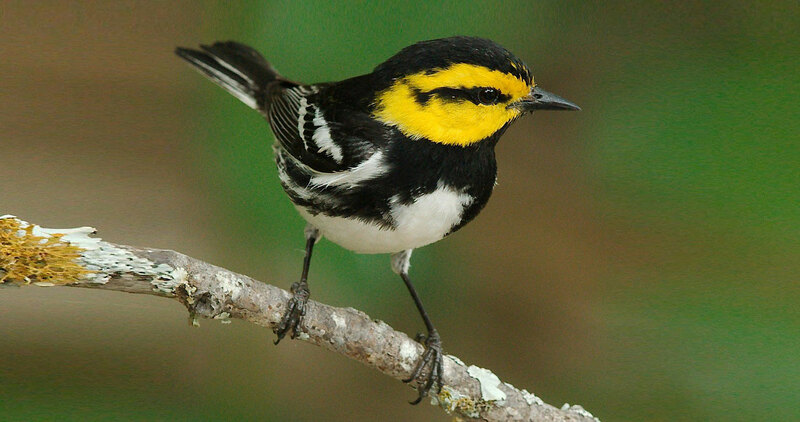 Lots of acronyms, regulations and development will make it difficult for Comal County to create a 500-acre preserve mandated by the RHCP to preserve habitat for Golden-Cheeked Warblers (GCW). The birds, also known as the goldfinch of Texas, are an endangered species that breeds in Central Texas. To get permitted, developers have to deal with warblers first. Hornseth, recently named County Engineer of the Year by Texas Association of County Engineers and Road Administrators, oversees RHCP, describing it as an agreement with U.S. Fish & Wildlife Service (USFWS) that assists with implementation of the Endangered Species Act. Finalized in January 2016, RHCP protects the birds’ habitat and facilitates landowners’ and other entities’ compliance with the ESA. Hornseth says landowners, school districts and even TxDOT who want to develop properties with GCW habitat must obtain proper permitting and pay mitigation credits. Comal County acts as an agent of USFWS and can speed up the process for landowners. The county helps landowners comply — but not necessarily look for habitat that needs protection. To date, Comal County has permitted Capitol Aggregate and Cemex, which plan to develop their property into quarries. Because Comal County does not currently have a 500-acre preserve for GCW, credits went to a land bank in Bandera County. There’s more than one way to pay for land conservation. Koppenheffer, formerly executive director of Green Spaces, she says although Comal County is currently at its maximum for sales tax, Texas Natural Resource Code allows counties to use additional sales tax for land conservation or other natural resource. Facing similar concerns ten years ago, San Antonio voters passed Prop 1, which allocated an additional ⅛-cent of sales tax to protect property over the Edwards Aquifer recharge zone from development. Since its passage, over 130,000 acres have been preserved in order to protect the city’s main source of drinking water. Koppenheffer says San Antonio succeeded by purchasing conservation easements that kept properties from development but allowed landowners to retain ownership of their properties. “At first landowners were worried about conservation easements being under the ‘control’ of the City of San Antonio, but now there is a waiting list,” she says. Wassenich, who’s served on the San Marcos River Foundation since its inception in 1985, says Comal residents should “just do it” and embrace land conservation. Five years ago, the foundation was approached by a resident who asked them to purchase his 75-acre ranch. Another landowner asked for help getting a conservation easement on his small property. The group’s now working to become its own Land Trust, which Wassenrich says is critical in urbanizing areas where large properties no longer exist. Comal County residents past, present and future have a long and storied history with land preservation. The Landa family purchased the property in 1860. Citizens of New Braunfels took over in 1936, preserving not only the 300-year-old Founder Oak but Comal Springs as well. In 2006, New Braunfels Parks Foundation was established as a 501-c-3 tax-exempt organization that could accept land and financial donations to be used in applying for matching grants. Proceeds were donated to City of New Braunfels to create Fischer Park. Some 1,940 acres were acquired from a local landowner by the State of Texas in 1974, preserving this portion of the Guadalupe River and its riparian (interface between land and river or stream) habitat, making it a haven for birds, butterflies and wildflowers. Located next to GSRP, these 2,294 acres were acquired by State of Texas in 1985 with help from a deed from Texas Nature Conservancy. The area is only open for guided nature walks on Saturday mornings. Canyon Lake Gorge is preserved by Guadalupe Blanco River Authority (GBRA) with the volunteer assistance of Gorge Preservation Society. The county itself operates Jumbo Evans Sports Park and Hidden Valley Sports Park, designed as youth playing fields. This 288-acre tract of prime habitat for warblers was preserved by the Morton family and sold to Comal County in 2007 through a grant from USFWS. It’s not open to the public but will be administered in perpetuity by Comal County to protect GCW and other rare species. These small natural areas boasting short hiking trails were donated to the county by the Curry and Kleck families. This 13-acre park, established in 2014, features walking trails and other recreational amenities. Situated about 20 miles northeast of San Antonio, Cibolo Bluffs is a scenic landscape that encompasses nearly three miles of Cibolo Creek, which spans both Comal and Bexar counties. It was created in partnership with Bexar County and the United States Army. Rapid development of the land surrounding Camp Bullis, the 28,000-acre military installation was fast becoming a ‘lone island of refuge’ for the warbler. The Conservancy entered into a cooperative agreement with the Army to protect warbler habitat off-site in exchange for mitigation credits, which allow the Army to clear vegetation and develop property surrounding the camp. It’s home to Natural Bridge Caverns, BCI’s Bracken Cave Preserve (home to 15 million Mexican free-tailed bats). In 2013 a proposed new subdivision in the area caused residents and conservationists to join forces to protect the 1,500 acres. Included in the coalition of public and private organizations were City of San Antonio, BCI, Edwards Aquifer Authority, U.S. Army, Bexar County and Nature Conservancy. The Preserve includes preservation easements.